Being a member of the Villa Group’s Cabo Villa Preferred Access, means a chance of spending your holidays in different beach resorts at very affordable prices. 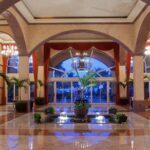 It also lets you enjoy the luxury of staying in the most elegant accommodations all around Mexico. You’ll get exceptional savings with all the affiliated Villa Group destination resorts in Cabo San Lucas, Nuevo Vallarta, Loreto, Puerto Vallarta and Cancun. Vacations have never been this great and budget friendly. So what are the benefits of Villa Group’s Cabo Villa Preferred Access Scheme? Well, to start out, the timeshare vacation club scheme offers real flexibility and choice. One benefit of the Villa Group timeshare program includes staying in different resorts in Mexico for as short a time as 2 days and as long as your points will cover. This means that by purchasing just one week of Cabo Villa Preferred Access points, you could stay in two places in one year, (or more depending on your level of membership and how you organize your points). Flexibility of accommodation is also a benefit. You can upgrade to a much more deluxe accommodation if you feel like it and have the Villa Preferred Access points to cover the price of the upgrade. From a studio type, you could transfer to a suite with two rooms or more. Your family will greatly benefit from this kind of setup, where comfortability can now be easily attained for amazing vacations in Cabo San Lucas. Villa del Palmar Cabo and Villa del Arco are two renowned resorts in the best area in Cabo San Lucas. Boasting one of the best beaches and view, here you can enjoy lots of fun activities and sports. Beach volleyball, kayaking and other water events can be done. Such perfect quality time and bonding happen everyday at Villa del Palmar Cabo. Villa Preferred Access Means You Can Go Where you Like! 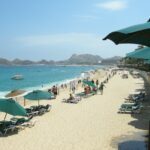 If you’re tired and feeling bored of going to the same places every time during your vacation, now you can go to other international destinations as well as other destinations in Mexico other than Cabo San Lucas. As a Villa Preferred Access member, you can exchange your timeshare points in return for a vacation in some international destination spots through the services of Interval International or other Mexican destinations through your Villa Preferred Access program. You can get to explore the world where beautiful places and great people await. Another thing is that, you’re assured of staying in the best accommodations that five star hotels and resorts offer. It’s really beneficial being a member of the Cabo Villa Preferred Access. Always remember to visit first the different resorts of the Villa Group in Mexico. You can stay in Puerto Vallarta, Cancun, Loreto and Riviera Nayarit using your Cabo Villa Preferred Access membership. The magic of exchanging your timeshare points will leave you enchanted. The flexibility of travelling and the enjoyment of a great vacation will now be in your hands. Being a member of the Villa Preferred Access in Cabo San Lucas is one great decision that will benefit you for a lifetime.